Chorus Austin is delighted to announce the winner of our sixth annual Young Composer Competition: Sarah Rimkus. Chosen from around 80 submissions from all over the world, Sarah’s piece “Rough Country” (from her longer work, Failed Saints) was selected as our winner. Building community through vocal music. 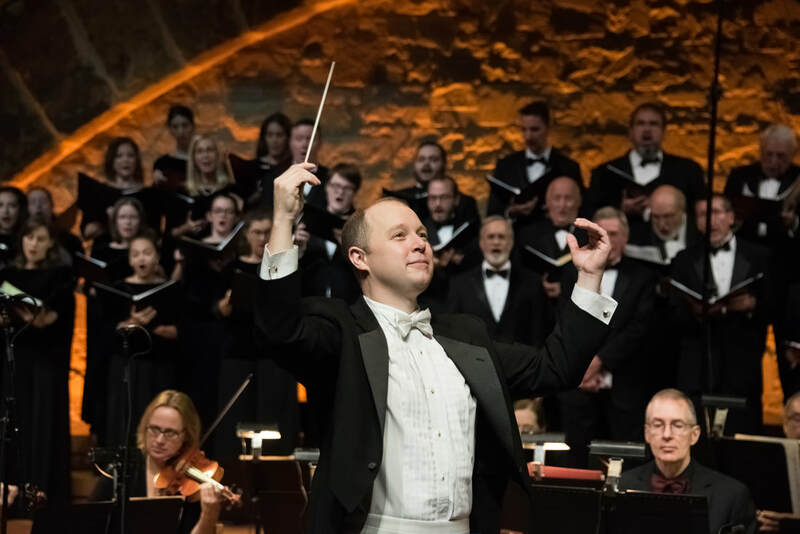 A rich tradition of great choral music and modern musical innovations are the award-winning hallmark of Chorus Austin, a non-profit community-based organization dedicated to bringing great choral works to Austin and the Central Texas area. ​Under the Chorus Austin umbrella are its two ensembles: the Symphonic Chorus and the Chamber Ensemble. Each group offers a distinctive concert experience for both audience and singers under the baton of Artistic Director and Conductor Ryan Heller. To learn more about our upcoming performances, please visit our Events and Performance Calendar page and follow us on Facebook. Happy 10th Anniversary to Maestro Ryan Heller! Chorus Austin Artistic Director, Ryan Heller, with seven of the ten composers whose works were performed at Southwest Voices on May 5, 2018.